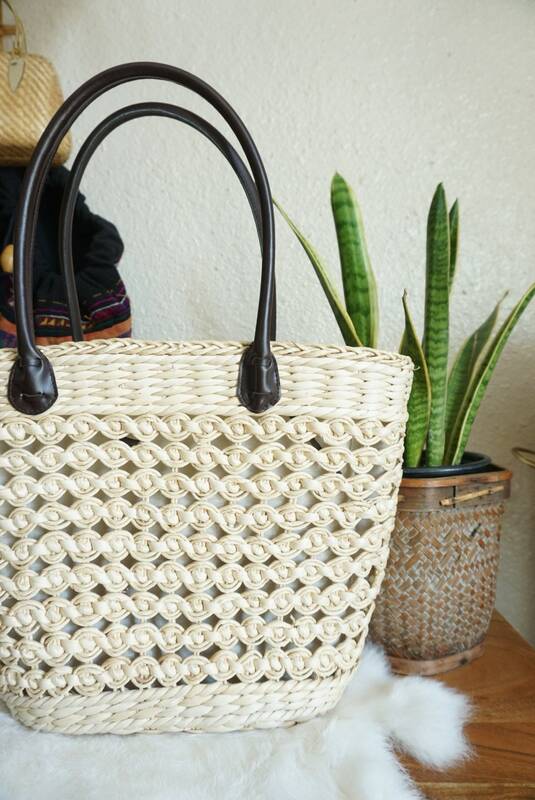 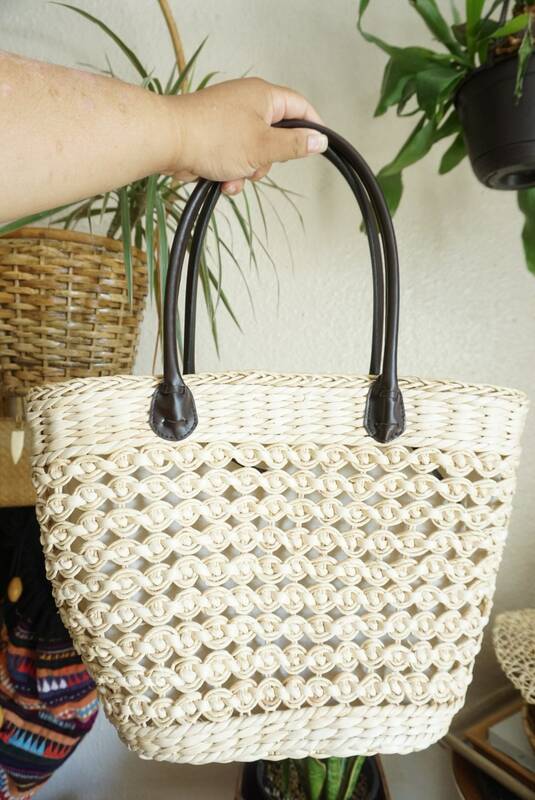 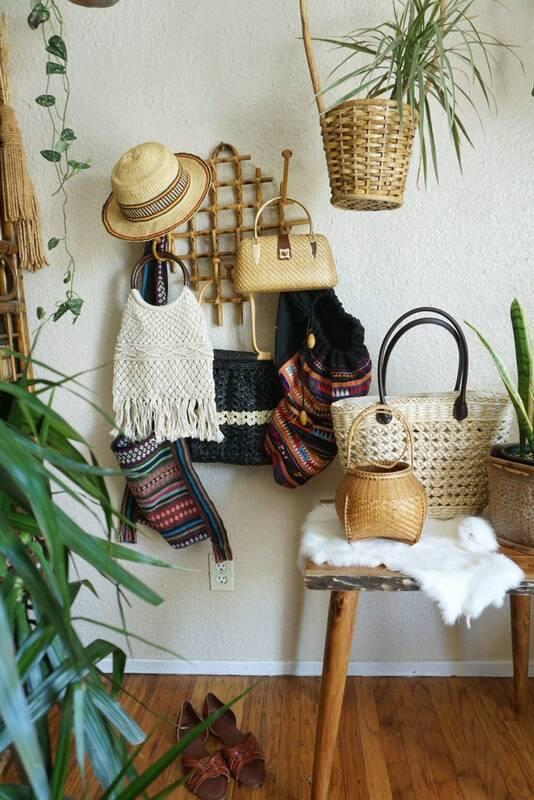 Gorgeous bohemian woven straw bag with black nylon handles. 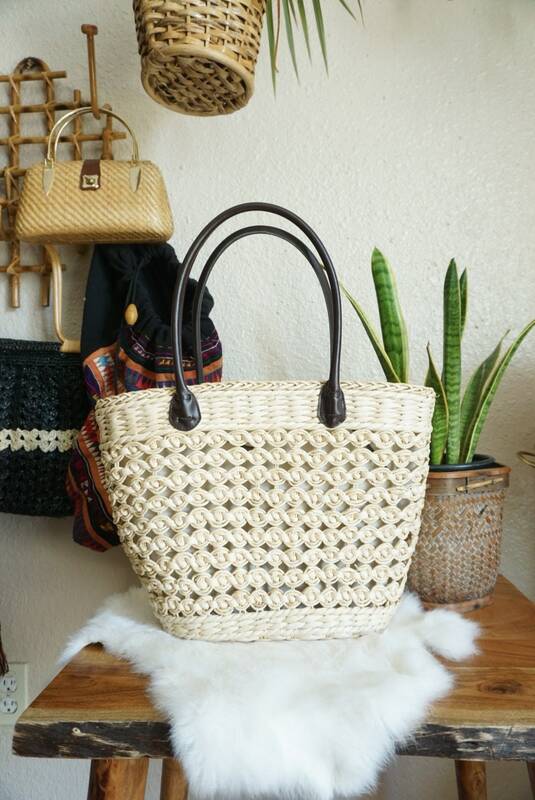 Woven with white corn husk straw. 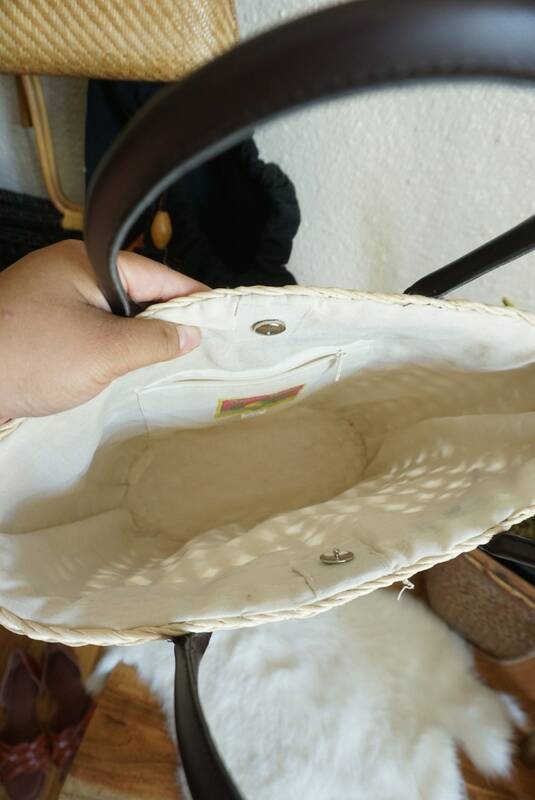 Handles feel like leather, but may be a nylon material. 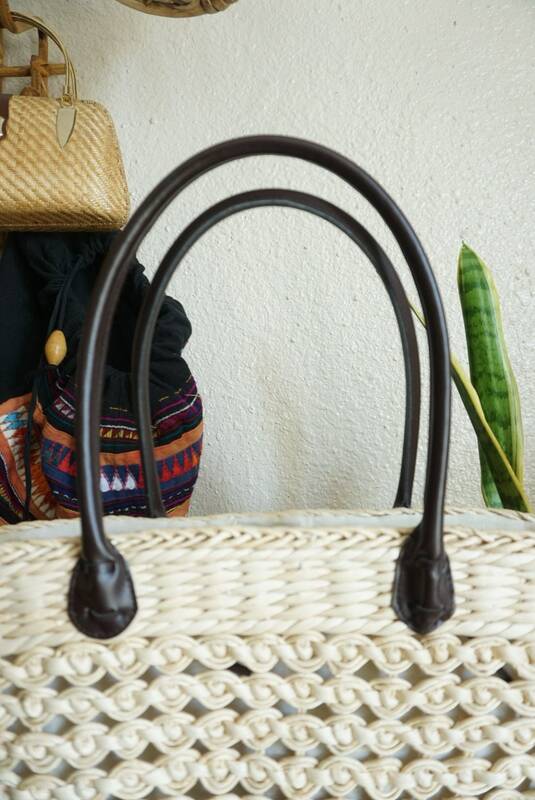 One large main compartment and one side with zipper pocket. 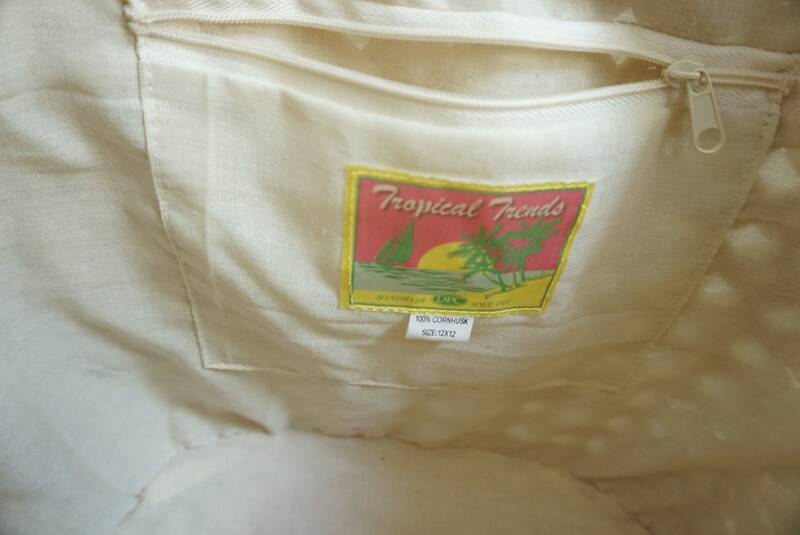 Lined with thin linen type of fabric.